Out of Stock - Our next shipment is due to arrive on Thursday 5/9/2019. 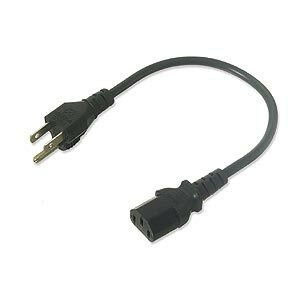 Connect your computer, display monitor, printer or HDD enclosure with one of these standard three-prong power cords. Designed to fit into a 3-pin shrouded power connector typically found on CPU power supplies and some monitors, printers, scanners, hard drive enclosures and other devices. Available in several lengths for most applications.